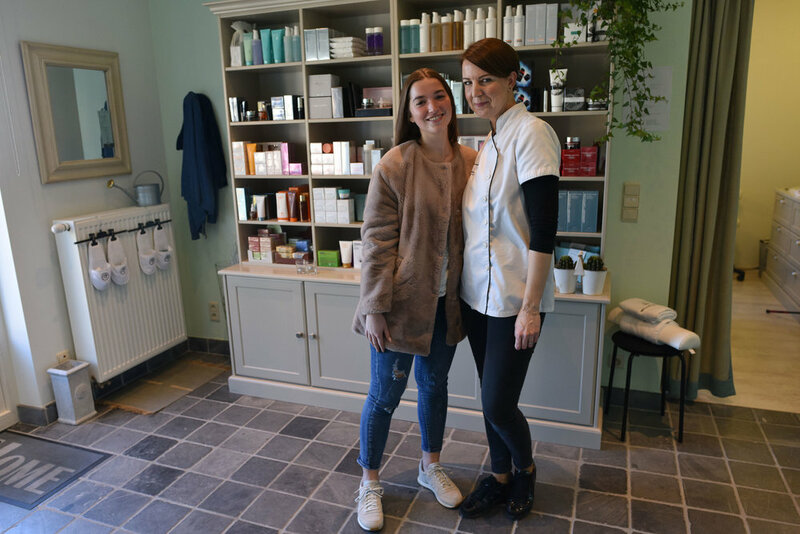 It was a bright early spring morning when I drove out from Brussels to visit Skin Esthetiek, a busy beauty clinic in Tervuren. The owner, Katrien, had booked me to shoot photos for her website and social media accounts. Katrien told me that she had asked a friend to model for the shoot. While we waited for Indra she showed me around and explained in a bit more detail what she wanted. 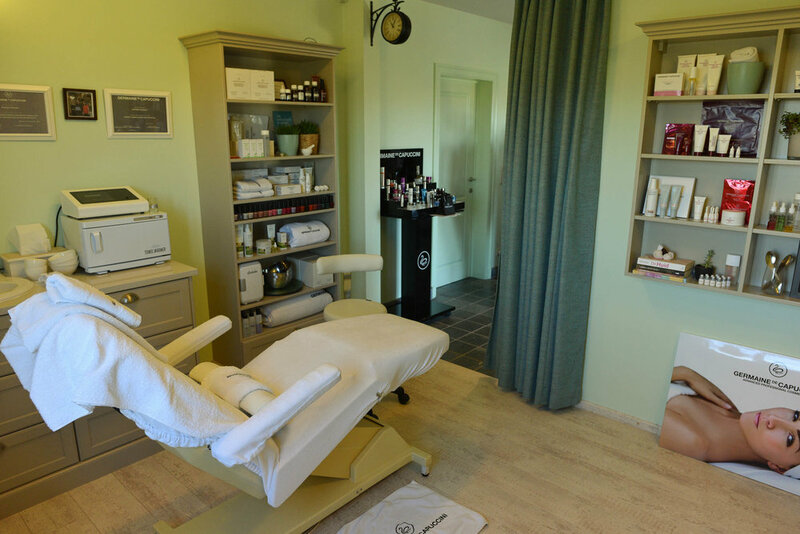 Her idea was to tell the complete story of a client’s visit to the clinic – from the welcome and the diagnostic consultation, through a full facial treatment to the sale of after-care products. I was pleased that the treatment room had a large window that would allow me to balance my Rotolight LED/flash unit against some natural light. When Indra arrived we got started immediately. She told me that she had never modelled before and was not sure what to do. I assured her that she looked great. If I needed her to do something special I would ask, but otherwise she could just relax and enjoy Katrien’s treatment. I think she may have fallen asleep at one point. For the treatment itself I set my lighting to a soft, warm tone, and shot at f4.0 and 1/180 at ISO 400. For the central element of the facial Katrien painted Indra’s face with a bright blue gel and then gently blew steam onto it. Gradually, the gel bubbled into a fine foam, and I got some fabulous extreme close-ups. It was an intimate moment, and I feel lucky to have shared it with the two friends. I’m happy to see that Katrien has already used some of my photos on her website and her Instagram account, and I hope they help to bring her a lot of new business.